William Hope Hodgson died on a battlefield of World War I at Ypres, France, on April 19th, 1918. WHH had been serving as an observer at a forward post when it was hit by a German artillery shell. Later reports indicate that he had been killed immediately upon impact with nothing remaining for burial. This meant that his family was unable to lay his body to rest. At the present time, I have not been able to find any family plot for Hodgson which might have had his name engraved. But this situation was not uncommon. Many WII soldiers died in foreign lands with nothing left to send back home. As a remembrance, there are many memorials around Europe to these fallen soldiers. 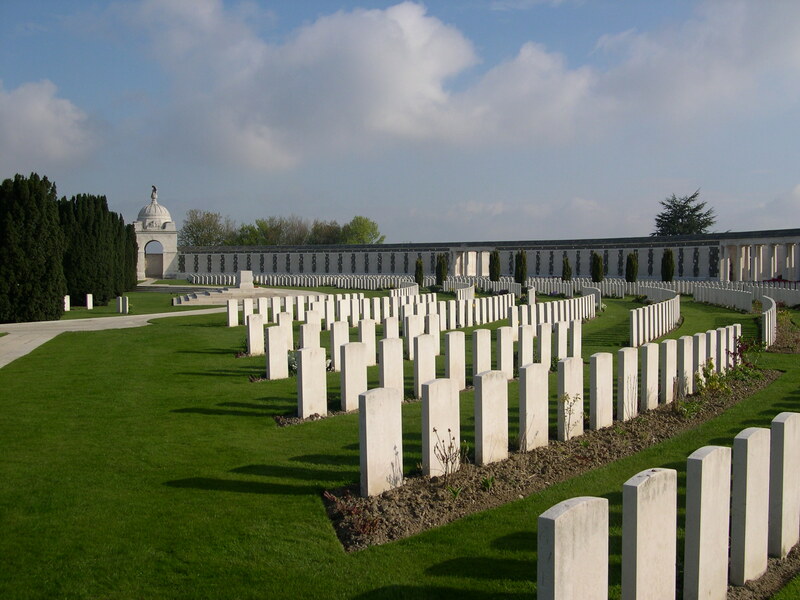 In Belgium, there is a large memorial cemetery dedicated to the many men who lost their lives during WWI. There, at Tyne Cot Cemetary, William Hope Hodgson’s name is engraved. WHH is the fifth name in the Lieutenant section. 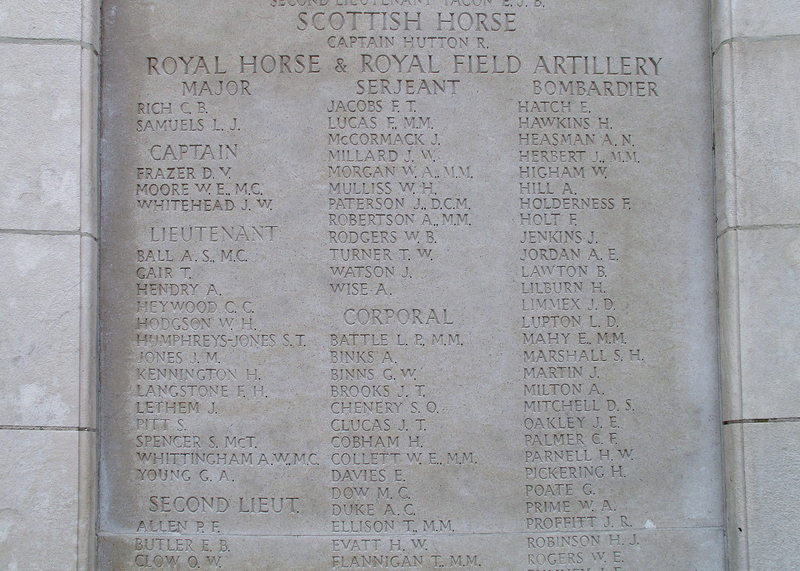 While WHH’s actual remains are not here, it is nice to know that he is remembered along with his other comrades who lost their lives during “The Great War”. It sounds almost as though he had a death wish. I’ve often wondered that of did he just believe himself to be invincible?? Thanks for the information. I had not known that he, like so many other writers and poets, died on the battlefield in WWI. What makes it worse is the fact that WHH didn’t need to have died. He had gotten injured earlier and actually sent home to recover but he was determined to re-enter the conflict which led to his death. Also, he was killed after he had volunteered for a dangerous duty as a forward observation officer. So, once again, he could have survived the war if not for his own bad decisions.